From Plouguin’s church square: Bear left towards Treouergat at front of “Le Gaulois” Cafe. Take the second turn on the left (at the tractor shop) towards Treouergat. 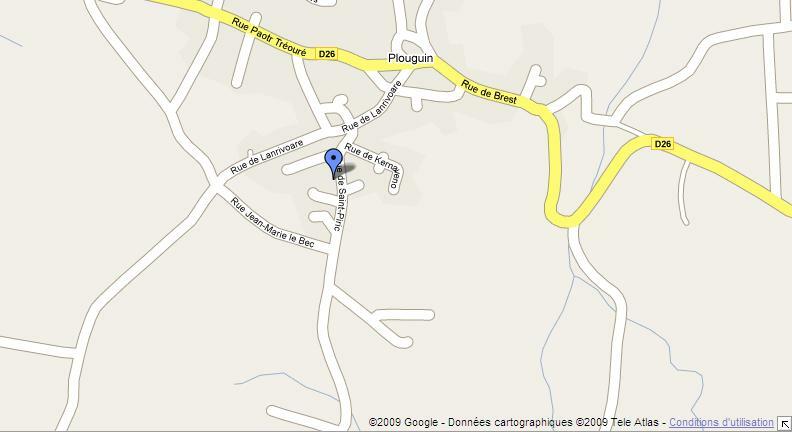 After you pass the dead-end street, you will find Ty Guen, the stone house at n 10 rue St. Piric.